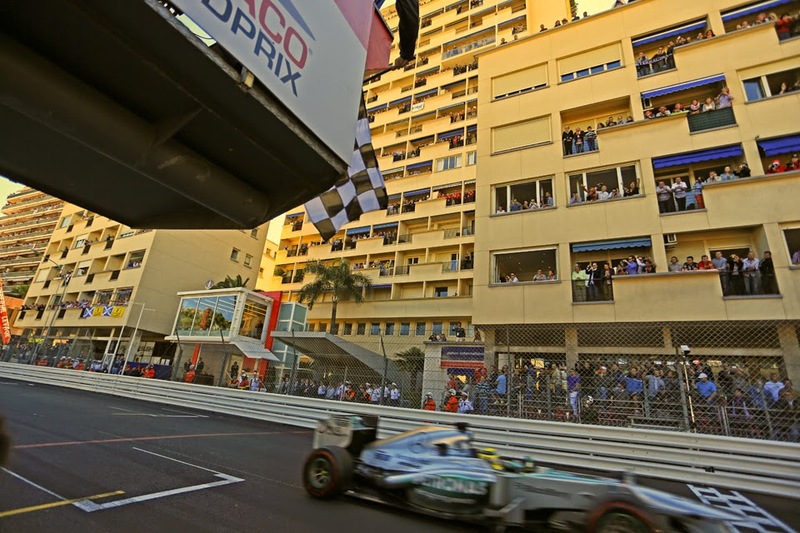 Talking about F1: The F1 blog: Monaco Preview: If not now, when? 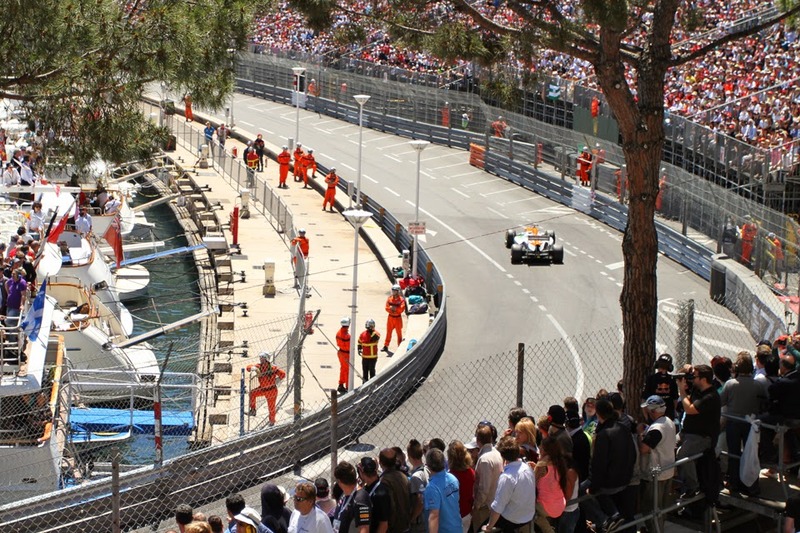 Once upon a time, wit and Formula One fan Clive James noted dryly that 'it is said these days with increasing frequency that Monaco makes a nice change from Grand Prix racing'. What is it with the fraternity's annual visits here, and their apparent 'jewel in the crown' status? Really, there are so many reasons to dislike Grands Prix around the Principality. If you're to be critical, the Monaco round is an anachronism. If you're to be very critical, it's an absurdity. Tight, narrow, bumpy, sinewy. No-one can pass here. The cars never are allowed close to their full potential either in straight line speed or cornering abilities. The F1 machine outgrew the course's swingeing confines not so much years but decades ago. Had Monaco never existed not only would there be little need to invent it (in terms of its on-track offering at least) the concept would be laughed out of town, likely holding about the same credibility as that track around the centre of London that Santander came up with as a bit of fun not so long ago. It doesn't get much better off the track either; all cramped and claustrophobic as well as attracts various ostentatious posers who in all probability don't care much for the sport other than in that one weekend of the year. And it is not at all exaggeration that among those 'brands' that make F1 what it is Monaco is right up there with the very most important; likely in the top three. Maybe the top one. Even those who've never seen a motor race have a reasonable chance of pairing Monaco with F1 in a word association test. F1 could exist without it of course, but it would be greatly diminished. And as a sneak preview of this scenario we had the fairly recent example of CART without the Indy 500, an absence it could never overcome and the series had to return to its blue riband round eventually somewhat abashed. Then there is the heritage of the place, stretching back all the way to 1929, and the event literally being as old as street racing itself (prior to the inaugural Monaco gathering races were considered at home either on country roads or on the burgeoning permanent autodromes such as Monza). Before we knew it the legendary Achille Varzi and Tazio Nuvolari were indulging in duels around the houses that went into folklore. And since all of the sport's revered names have raced here; most have excelled. Some of the performances, such as that of Stirling Moss in 1961 and of Jochen Rindt in 1970, remain fresh and sharp in the memory. The circuit that survives today isn't all that different to that of 1929 either. Moreover, and like it or not, Monaco seems to embody much of F1's image, or at least that which it likes to have of itself: glamorous, wealthy, eye-catching. Everywhere you turn in a Monaco Grand Prix weekend there is something captivating. It's no coincidence either that in terms of off-track commerce the gathering has long been considered the most important of the year. Plus while the race is the slowest of the season no where else - given the way the cars flash past the barriers but millimetres away - do you get a greater impression of speed of a Grand Prix car than at Monaco. Moreover even with the criticisms outlined no other event on the modern F1 calendar is such a driving challenge; a challenge of driving skill, commitment and concentration. Nowhere else is the driver able to make a personal difference over and over their machinery. Nowhere else is there such a likelihood that even the smallest error will be punished definitively, a characteristic that's grown exponentially distinct in this age of the car park run off area. Not for nothing therefore do F1 drivers virtually of any era consider a single victory at Monaco of similar kudos as several wins elsewhere; not for nothing also are many of the sport's giants of past and present multiple winners around the Principality. It is for some of these reasons that many are looking to Monaco as the weekend wherein the 2014 season's uninterrupted run of Mercedes victories may end. Perhaps, even at this early point, also that it's the greatest chance of keeping the Mercs away from the top step of the podium all season. Will Monaco belong to Mercedes once again? Monaco also presents a strategy challenge like nowhere else. Qualifying as well as the order emerging from the habitual chaos at St Devote on lap one matter an awful lot. And come the race, no matter your potential lap times in clear air, finding yourself behind a slower rival can destroy your weekend at a stroke. To make matters worse safety cars are a frequent feature here too (the last two races have even featured red flag interruptions). With all of this employing attacking multi-stop strategies can be perilous, demonstrated by for example Jenson Button in 2011 who looked the quickest out there but an inconvenient safety car scuppering his three-stop run consigned him to a third place finish. Last year, as an indirect consequence of all of this combined with extreme concerns over tyre wear, the race here was something akin to F1 trench warfare, in an impasse for much of the way as no one dared push and the especially-spooked Mercs backed the pack up. The soft and supersoft compound selection this time is the same as 12 months ago, though hopefully this year with Pirelli consciously stepping back from the edge things won't be quite as bad. One-stoppers all round remain probable however. And with Monaco's low speeds and smooth surface tyre wear is relatively low. Rear tyre wear what with the new, bigger on torque, power units will be a new concern however. The lower downforce and greater risk of getting out of shape on acceleration, perhaps to tag a barrier, will add to the challenge. And given these lottery elements - appropriate to a town associated with games of chance - plus the difficulties of clearing slower cars the avenues for even a dominant car to be beaten are much more numerous here. One thinks of 1992 wherein for Nigel Mansell and his Williams FW14B a late unplanned pit stop left him unable to clear Senna's McLaren for victory. One also thinks of ten years later the insultingly superior Michael Schumacher-Ferrari F2002 combination around Monaco not being able to find a way by David Coulthard's McLaren. We can add to the mix also that Red Bull, Mercedes's closest challenger, is thought to have a strong chassis but a not so strong engine, a combination that isn't so much of an impediment at Monaco. You could say that if the Bulls don't get close to the Merc here then they won't anywhere. But still we perhaps shouldn't get overexcited on this point. Even with everything we've said the Mercedes preponderance will not dissipate on the Mediterranean coastline. 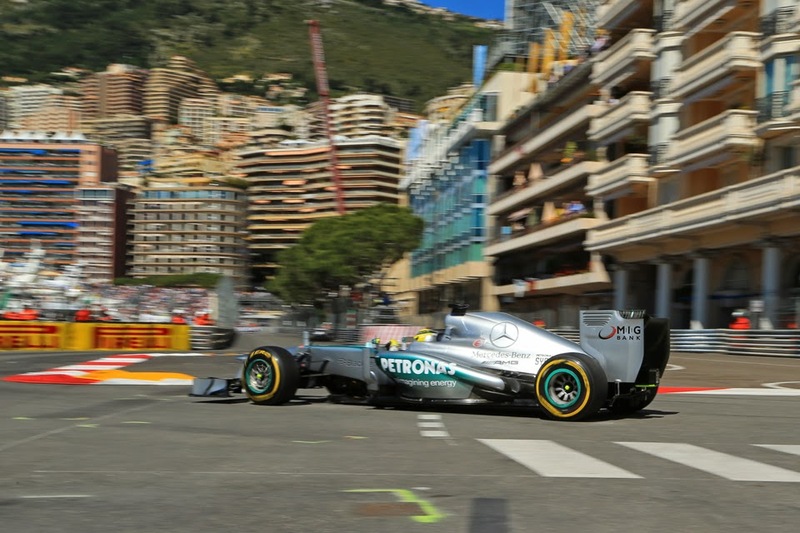 Monaco shuffles the pack more than most places, but the Mercs still hold plenty of aces. 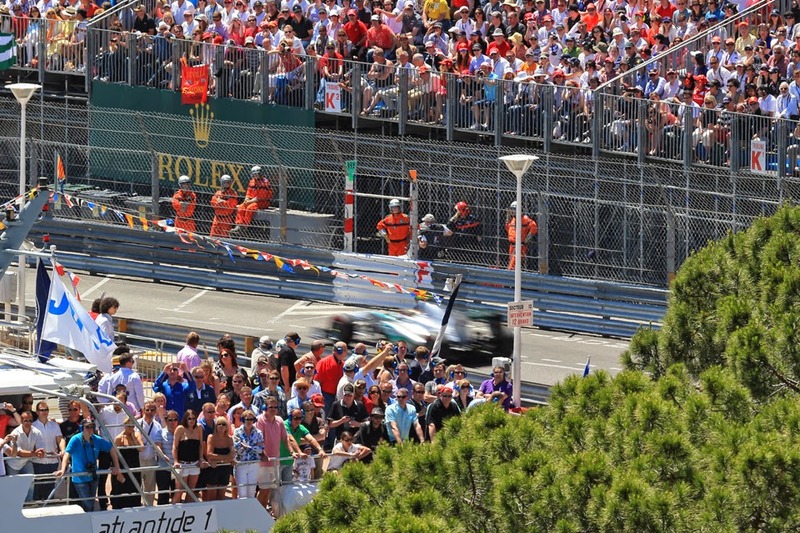 The quickest car remains the quickest car, even around the Principality. That's virtually always been the case. Those looking for Monaco-induced variation this weekend may therefore be rather disappointed. More specifically one of the W05's many virtues is that the innovative power unit layout has allowed a more compact centre of gravity, which has resulted in rewards in terms of the car's nimbleness, a trait you need at Monaco perhaps more than anything. More broadly, which team locked out the front row here last year? Yes, that one. Then there are its drivers; both have fine Monaco pedigree. Both have won here before; both can say that the track's peculiar requirements suit them just fine. And in that sense it once again is hard to distinguish the pair's chances in advance of the weekend. We seem by now to have been saying forever that Nico Rosberg really needs to get one up on Lewis Hamilton this time; indeed we have to go back to the previous season for the last occasion on which he did so. Returning to the scene where he took his stable mate to the cleaners 12 months ago should be of benefit however, even if it's psychological only. But still, Lewis's apparent knack of prevailing won't be easily halted. As for the rest, as mentioned Red Bull is expected to be next up, and if Daniel Ricicardo can impress again it'll be yet another box ticked on the 'Ricicardo is a complete performer' form. The form of the rest is hard to predict, and almost no contemporary driver can be considered a Monaco struggler, as say Nelson Piquet once was. Ferrari like the Bulls should benefit from the Monaco track not showing up its power deficit; it also has two drivers prepared to fling their car around the tortuous track as well as two drivers who've won here previously. Lotus too is expecting a good result to make good on its recent improvements. And odd though it may seem Pastor Maldonado was once seen as a Monaco specialist. Though as is usually the case for Pastor a lot will depend on whether he can keep the show on the road all the way until the end. But he could really do with some redemption right now. Redemption is the last thing on Mercedes's mind however. And if the opposition cannot get ahead of the silver cars at Monaco this weekend, given everything, it will be reasonable to ask if they can do so anywhere.